Karaoke Night USA guarantees that you will love your product. If for any reason it does not meet your needs, please contact us. You may return any item within 30 days of delivery for a full refund. Please contact info@karaokenightusa.com for a full refund. 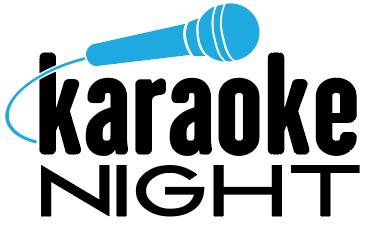 Karaoke Night USA warrants this unit to be free from defective materials or factory workmanship for a period of 90 days from the date of original customer purchase and provided the product is utilized within the U.S.A. This warranty is not assignable or transferable. Our obligation under this warranty is the repair or replacement of the defective unit or any part thereof, except batteries, when it is returned to the Karaoke Night USA Service Department, accompanied by proof of the date of original consumer purchase, such as a duplicate copy of a sales receipt. You must pay all shipping charges required to ship the product to Karaoke Night USA for warranty service. If the product is repaired or replaced under warranty, the return charges will be at Karaoke Night USA’s expense. There are no other express warranties other than those stated herein. 2. This warranty does not cover damage or equipment failure caused by electrical wiring not in compliance with electrical codes or Karaoke Night USA owner’s manual specifications, or failure to provide reasonable care and necessary maintenance as outlined in the owner’s manual. 3. Warranty of all Karaoke Night USA products applies to residential use only and is void when products are used in a nonresidential environment or installed outside the United States. This warranty gives you specific legal rights, and you may also have other rights which vary from state to state. TO OBTAIN SERVICE please pack the unit carefully and send it freight prepaid to Karaoke Night USA at the address provided. IF THE UNIT IS RETURNED WITHIN THE WARRANTY PERIOD shown above, please include a proof of purchase (dated cash register receipt) so that we may establish your eligibility for warranty service and repair of the unit without cost. Also include a note with a description explaining how the unit is defective. A customer service representative may need to contact you regarding the status of your repair, so please include your name, address, phone number and email address to speed the process.